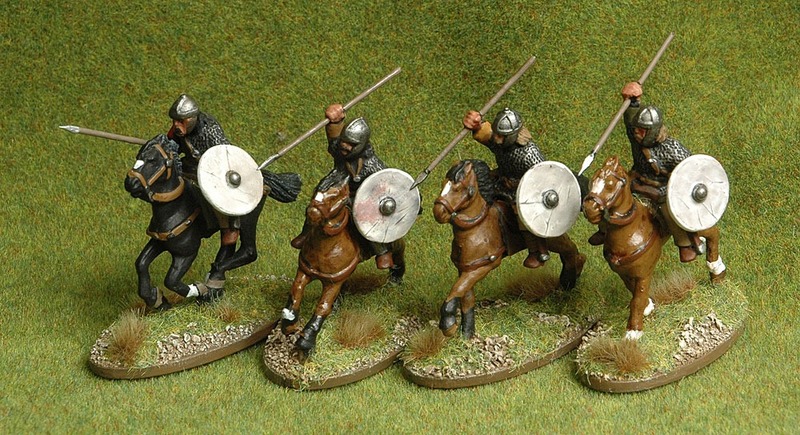 The best thing about the Gwŷr y Gogledd (Men of the North) force from the Raiders supplement for Dux Britanniarum (the TooFatLardies wargame set in Arturian Britain) is that you can swap out some of the infantry units for Cavalry. In the starter force you can swap your Elite infantry unit and one Warrior infantry unit four man units of their mounted equivalent as Shock Cavalry. And you can mount one of your Nobles to command them. 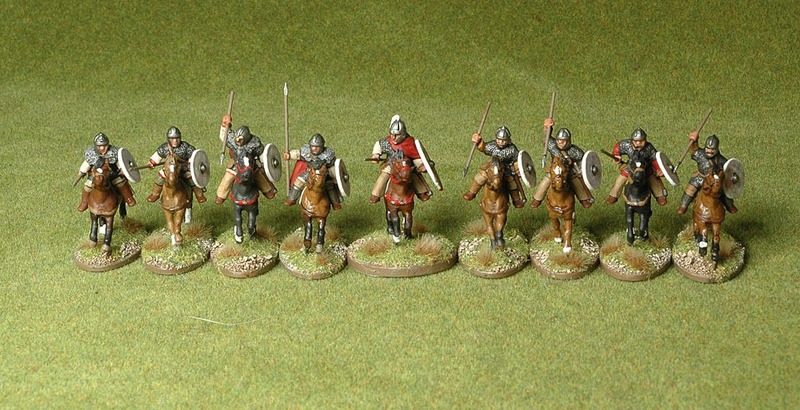 I’ve just finished painting the models that will allow me to do this, the infantry for the force were finished last week ago and I blogged about it then. 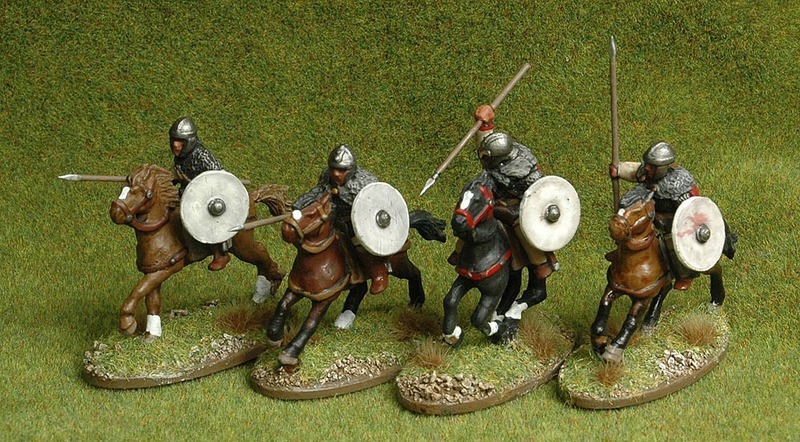 The Cavalry option: Two packs of Arthurian Knights and one of DAG06 Goth Armoured Cavalry from Musketeer Miniatures. These figures are not available at the time of writing, as Musketeer are re-arranging their business. 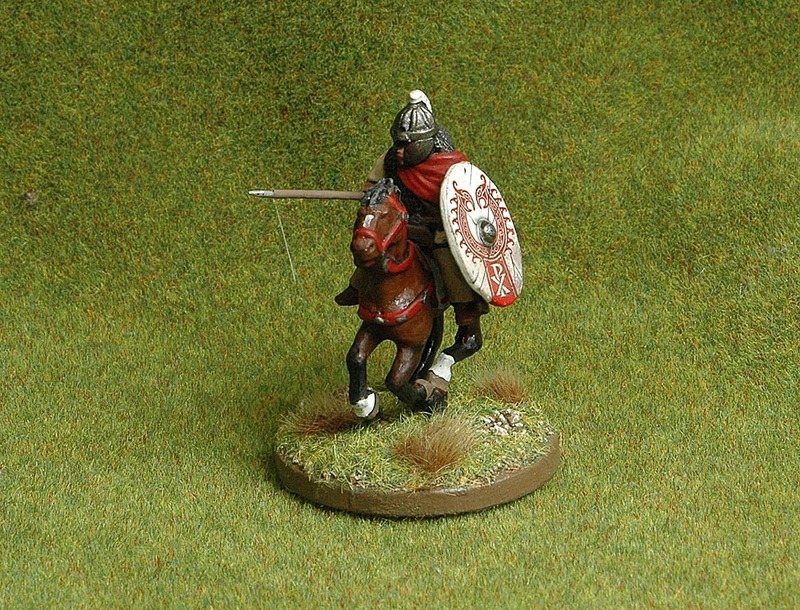 The Noble: I could use a mounted Lord if I wished, but a mounted leader can only command the cavalry and will have nothing to do with the infantry and I find that option limiting. Elite Shock Cavalry: These are possibly the hardest troops in the game. As Elites they’re difficult to kill and as Shock Cavalry they get double attack dice when they charge and cause double shock on their opponents. There are Fate Cards available (notably Carpe Diem, Artorius and Aggressive Charge) that make them even nastier. Warrior Shock Cavalry: They die easier than their Elite equivalents, but otherwise are every bit as good. can win big- it’s getting it done that’s the difficult bit. You have to use the cavalry well and you also need a bit of luck with the cards and the turn sequence to work out well. The cavalry have their weaknesses and if they’re charged by the enemy, rather than actively charging them selves, they can get badly beaten up in melee. They seem to be more capable than normal British against Raids, when the increased mobility provided by the cavalry is particularly useful. The downside of this force is the rather weak infantry, three units of Levy and one of Warriors are not strong. The Levy are particularly weak in melee and if you put them in shieldwall, which makes them a bit more capable, they can hardly move. The force is a bit of a glass cannon. 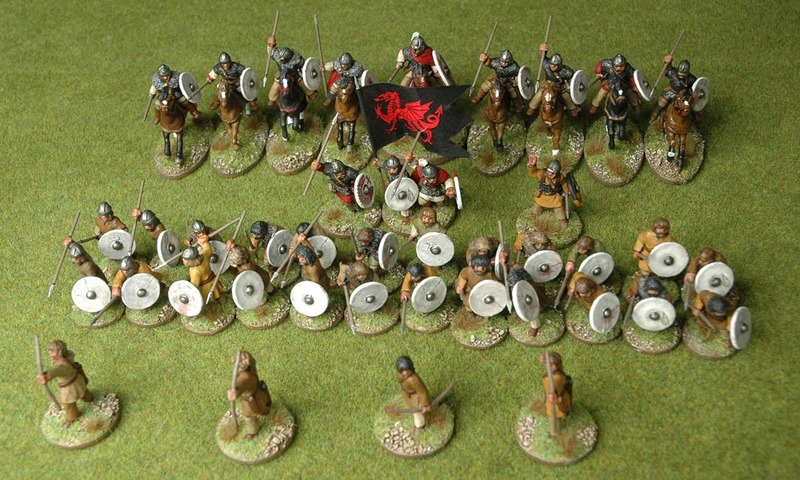 I find the Gwŷr y Gogledd great fun to play, though on balance I think my favourite force are still the Scotti.